From from Acadia to Zion, bald eagles make homes in dozens of national parks spanning the entire United States. The eagles travel great distances but typically return to nest near where they fledged. In 1782, the bald eagle was designated by Congress as the symbol of the United States. With the signature white head and tail, yellow beak, and brown body, an adult eagle can have a wingspan of six to eight feet. Bald eagles primarily eat fish, carrion, smaller birds and rodents. The eagles live near open bodies of water — seacoasts, rivers, large lakes and marshes. In the 1700s, bald eagles in the United States had an estimated population of between 300,000 and 500,000 individuals. Recognizing the need to protect this national symbol, Congress passed the Bald and Golden Eagle Protection Act in 1940. 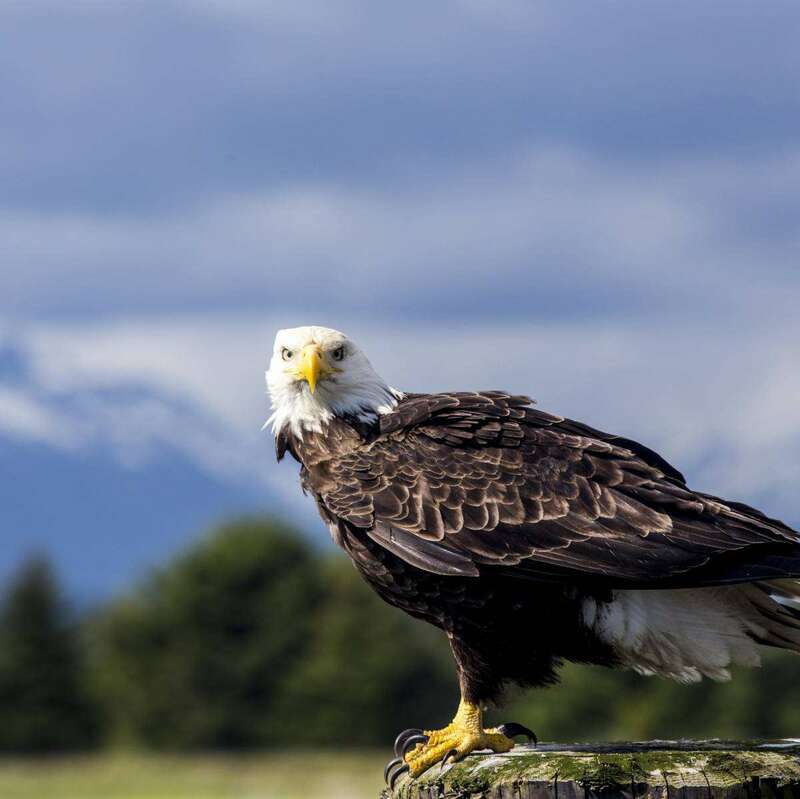 The act protects bald eagles, nests and eggs from harassment, possession, sale and other kinds of harm and provides for civil penalties for violations. Despite these protections, by 1960 there were only 400 nesting pairs left in the lower 48. Hunted for their feathers, facing the challenges of habitat degradation, and experiencing thinning eggshells because of the use of the pesticide DDT, the eagle population dramatically declined. In 1967, the bald eagle was listed as endangered in 43 states by the U.S. Fish and Wildlife Service under the Endangered Species Conservation Act, the precursor to the Endangered Species Act. A combination of habitat protection, restrictions on hunting, reintroduction programs and the 1972 ban on the use of the pesticide DDT contributed to the eagle population’s rehabilitation. National park biologists were actively involved in monitoring eagle populations to ensure that eagles nesting in parks were protected from visitor use and activities. In 1995, the bald eagle was downlisted to threatened with an estimated 4,700 nesting pairs in the lower 48. By 2007 and with over 10,000 nesting pairs, the bald eagle was removed from the endangered species list. In 2016, the U.S. Fish and Wildlife service estimated there were more than 72,000 individuals in the lower 48. Bald eagles are especially sensitive to disturbance when nesting, and national parks represent a safe haven from human contact. In Voyageurs National Park, for example, park biologists conduct aerial surveys to provide data on population size and nest distribution within parks. This active monitoring enables the scientists to identify warning signs before a change in ecosystem health could negatively affect the eagles. The park’s efforts have had a significant impact, increasing the in-park bald eagle population from six breeding pairs in 1975 to 42 pairs in 2015. While national parks and other land managers work to protect eagle habitat, the species continues to face other threats. Bald eagles are scavengers, often eating the remains of animals left behind by game hunters. If an animal carcass contains fragments of lead ammunition, it poses a risk to the eagles. Even small amounts of lead contamination in scavenged meat can kill an eagle. In 2017, the Obama administration banned the use of lead ammunition on federal lands, but the Trump administration is considering whether to overturn this ban. If lead ammunition is allowed again on federal lands, it will have detrimental effects on bald eagles and their continued recovery.